Manolett’s has been an original and different project from the beginning. A stroke of luck made artist Raúl Velloso and shoe designer Sara Navarro met in a flight from Miami to Madrid. After eight hours talking about their careers, theirs passions and the way they understand the world, the idea was taking shape and by the time the plane landen in Madrid Manolett’s was already a reality. This perfect marriage of art and fashion has as its objective create unique pieces using Raúl Velloso’s paintings which are based on the famous bullfighter Manolete, using traditional methods and 100% made in Spain, giving to each creation the highest quality. 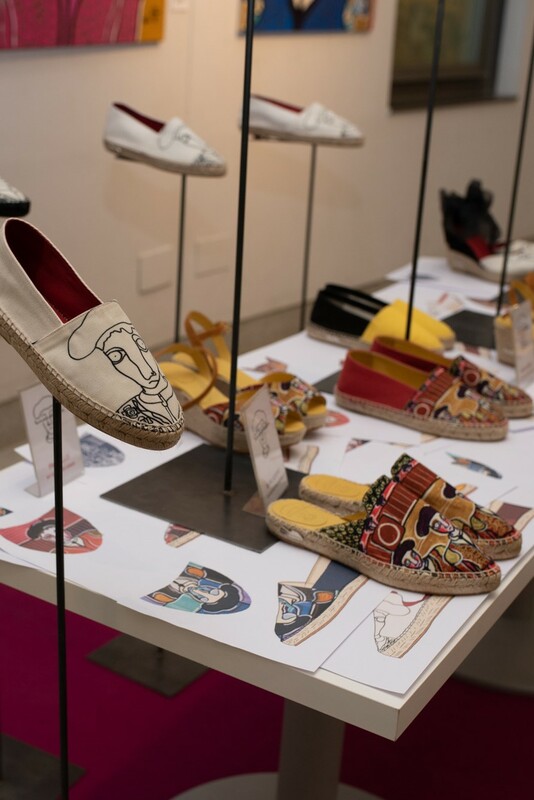 Creativity from both worlds has been succesful at capturing one of the most recognizable icons in Spanish culture to create espadrilles and wedge sandals to enjoy the summer, while paying tribute to the art of bullfighting. Espadrilles and wedge sandals, hand-made and 100% made in Spain, that combine design with the exclusive paintings of Raúl Velloso. Yellow, red and blue are the summery colours that bring life to this footwear for men, women and children. Our collection is produced in Fashion Factory World FFW, the sustainable production centre of Sarah World and it can be purchased from our website, at selected retailers and eCommerce platforms.